Hi guys! I don't usually post on a Saturday, but I've had a couple of tech issues that have delayed this post. I didn't really want to delay it any further as I have other posts on the way too, so I decided that on a Saturday it would be. Anyway, on with the review! 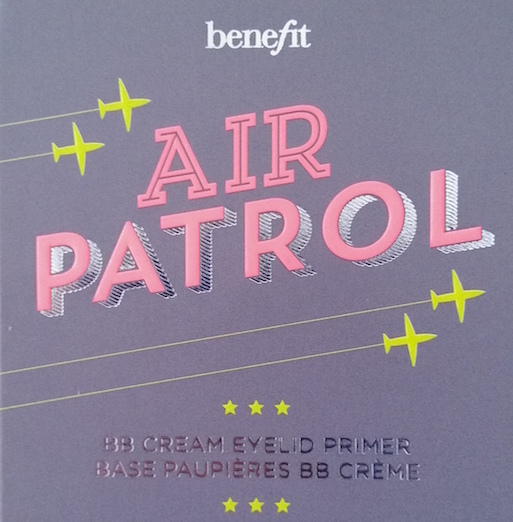 Benefit’s Air Patrol is described as a BB cream eyelid primer. 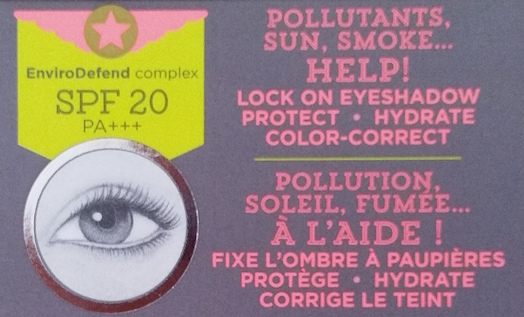 As well as being an eyelid primer, it colour corrects and helps to protect the lids from smoke, pollutants and sun thanks to its EnviroDefend complex and SPF 20. It also has a CushionCalm tip that is made of silicone and claims to be softer than your pinkie. So basically, it’s kind of like a combination of their other two eyelid primers, Lemon Aid and Stay Don’t Stray with some extra benefits. Lemon Aid is a colour correcting primer that comes in a creamy compact whereas Stay Don’t Stray is a creamy liquid formula, tinted eye primer. Being a big fan of both of those products, my excitement to try Air Patrol was at a high level. I recently acquired a sample of it and that is what I will be discussing with you today. I’d just like to note though that due to only having a sample, I am unable to make any comment of the CushionCalm tip as it isn’t included on the sample tube. To apply, you need to twist the base and wait for the primer to appear at the end of the CushionCalm tip. Once it has appeared, apply the product to your eyelids and blend with the tip. Let it dry, and then continue with your makeup. The first thing that I noticed about Air Patrol is that it is like a watery version of Lemon Aid. It is yellow in colour but very runny. Sadly, I can’t review the quality of the applicator, so I had to apply using my fingers. It applies well, but I didn’t really feel that there was much difference in regards to colour correcting. There was a subtle difference, but nothing in comparison to what you can achieve with just a little bit of Lemon Aid. I have oily eyelids, so eye primer is an important part of my routine if I plan on wearing anything on them. Without primer, any makeup tends to just disappear within no time at all or crease. 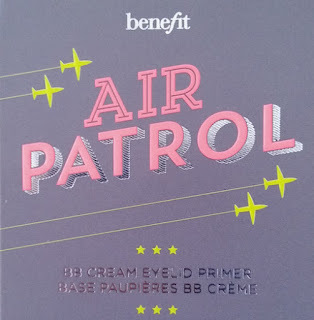 Using Air Patrol as an eye primer also left me feeling a bit disappointed. Whilst my eye makeup was initially more vibrant upon application, by the end of the day it definitely looked rather lacklustre and faded in areas. It was better than no primer, but not great when you think of the price you’re paying for it. I think that the thing that I truly love the most about this product is the packaging and the style of it. I love the quirky themes around Benefit products and the cap in particular on the full-sized tube looks adorable! Packaging though means nothing if the product inside doesn’t match up to it, so it really is a shame. Benefit is one of the brands that I trust the most. 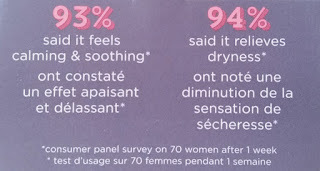 They have so many brilliant products and when they release new ones I am always prepared to give them a try because I associate them with high quality items that really work. It just seems that the experience between myself and Air Patrol has simply crash landed in the sand. 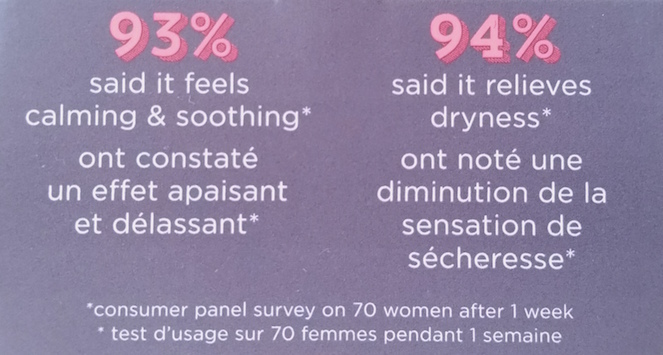 I tried so hard to like this product, I really did. However, for me, it just wasn’t up to the usual standard that Benefit are able to produce. Lemon Aid and Stay Don’t Stray are both fantastic primers that help in different ways, and the idea of a hybrid of sorts was really exciting to me to the point where I imagined it being the perfect product for me, so maybe this is why I feel so let down. I won’t completely knock it though as I have read a lot of great things about it from people who don’t have oily eyelids saying that it provided good colour correction and helped their eyeshadow to last for up to twelve hours! Whilst I may not be giving my personal recommendation to this particular product, as you might have guessed throughout the article, I do recommend Benefit’s other eye primers; Lemon Aid and Stay Don’t Stray, both of which are less expensive. However, you will only be getting one or the other rather than all of the benefits rolled into one that Air Patrol claims to offer. 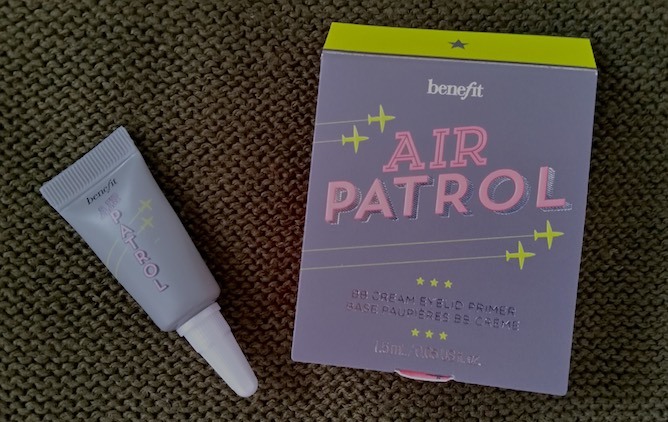 You can purchase Benefit’s Air Patrol for £21.50/4ml from Birchbox, or you can purchase Lemon Aid for £16.50/2.7g (at Birchbox) or Stay Don’t Stray for £20.50/10ml (Birchbox). What are your thoughts on Benefit’s Air Patrol? Did you get on with it better than I did?